Unlike traditional web design agencies (most of) where clients have to go through account managers & sales persons. 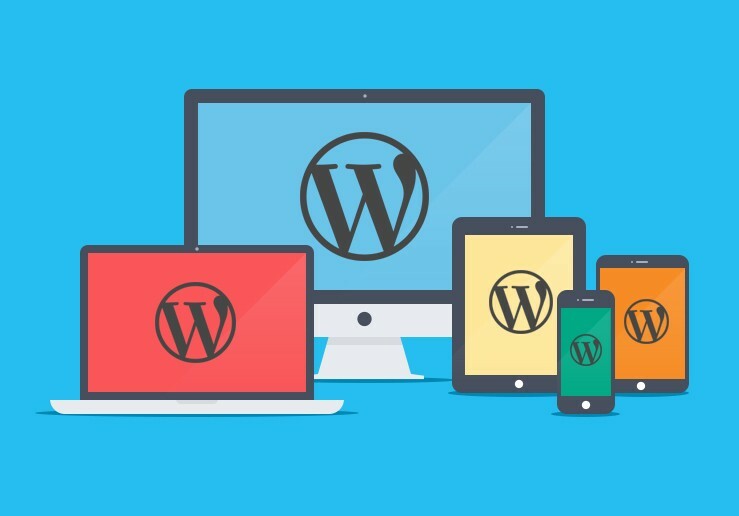 But in our team, everyone is expert of WordPress so if you’re working with any one of us, rest assure you’re working with a highly skilled WordPress professional. We’ll help you from our first phone call to our first meeting without going back & forth and without wasting time in consulting with our techs because we are the techs! No sales talk or time waste… only productive meetings and actionable strategies. We make sure that our clients get a good ROI for Web Design & Internet Marketing. We design actionable websites & strategies by converting the simple WordPress theme to a Lead Generation Website Tool, no matter what type of business you are doing whether you want to sell online, generate leads, build audience or just want to showcase your services, our WordPress web design services provide great results. PSD to WordPress is one of our very popular service. We usually provide to other web agencies & individuals looking for a pixel perfect wordpress theme development. We convert your designs (PSD files) to Twitter Bootstrap and then to WordPress. We code responsive layouts in HTML 5 & CSS 3 and ensure compatibility across different mobile devices & computers. We code custom WordPress plugins or customize the existing WordPress plugins as per our clients requirements. WordPress is one of the most popular CMS system among the web designing & blogging community in the world. CMS: Content Management System is an application that allows to publish, edit, update or delete the content, as well as website maintenance from a central interface. WordPress is opensource and available for FREE, written in PHP programming language & MySQL database. WordPress is FREE & Open Source CMS. For non-techs it’s the most easiest and powerful website CMS and blogging tool. Anyone with basic computer skill & knowledge can update and control the website’s content and other media files such as images, videos etc. and you don’t need to hire any webmaster or developer to update your website, you can update your website by yourself in the comfort of your home/office. We are always available for help and we can meet you in person in New York and New Jersey.